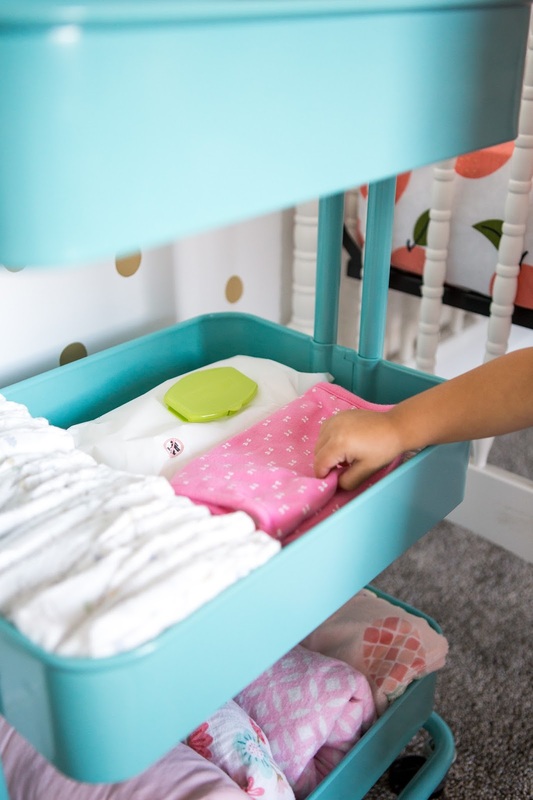 If you've ever had to change a few diapers after nighttime feedings, you know how nice it is (read: saves your sanity) to have everything within arms reach. No one that's sleep deprived wants to wander around a dark house looking for wipes! 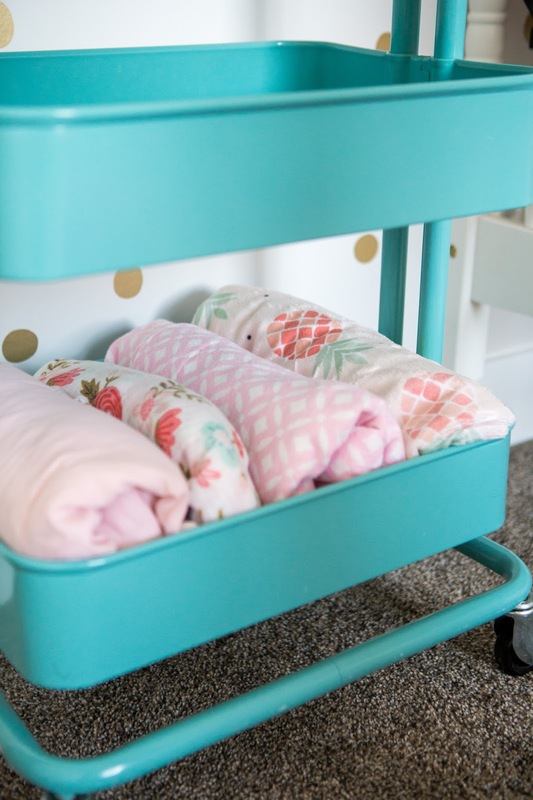 Right before Lucy was born, I moved my nightstand and replaced it with this rolling cart instead. 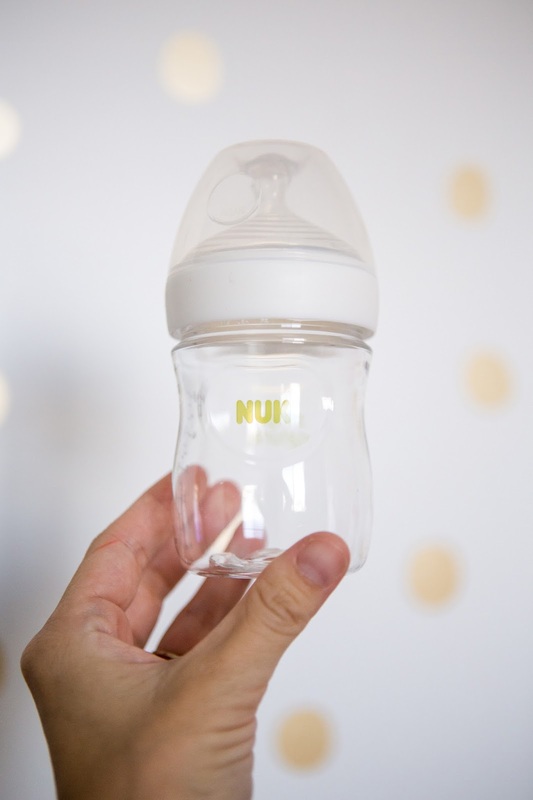 It's been a lifesaver - both during middle of the night feedings and during the day! 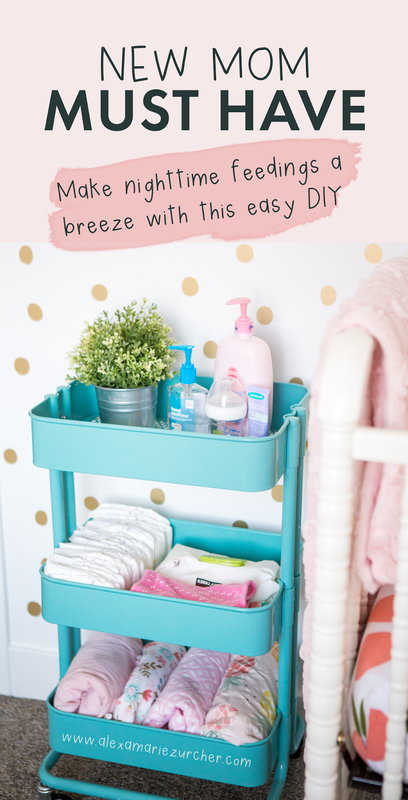 It rolls around the house, has plenty of storage space, and I love that it has a lip, so I can't knock anything off of it (I'm speaking from experience here, I'm always knocking my water off my nightstand, haha)! 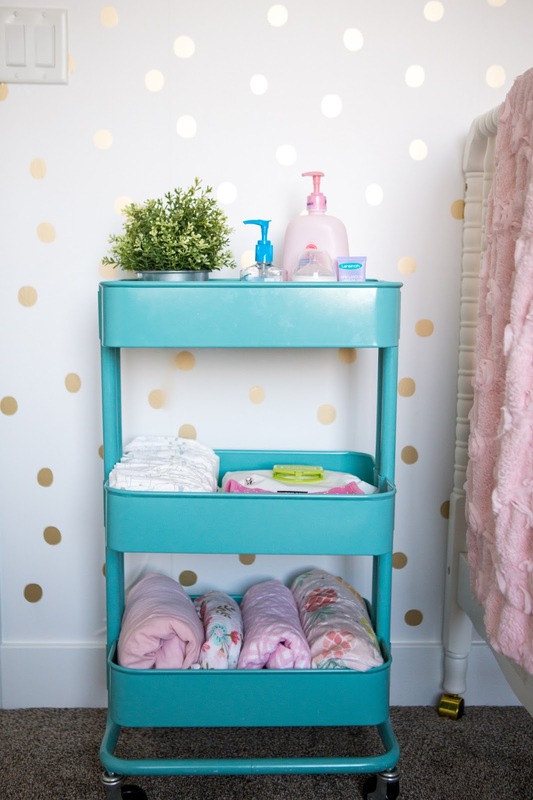 When she moves into her own room, the cart will go there, too. Of course, I've loaded it with all the essentials, see below! P.S. 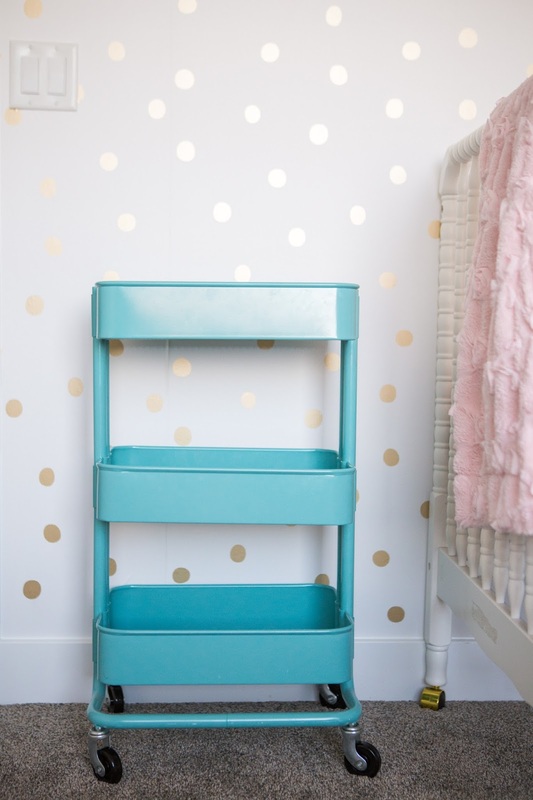 This would make for a really cute baby shower gift! 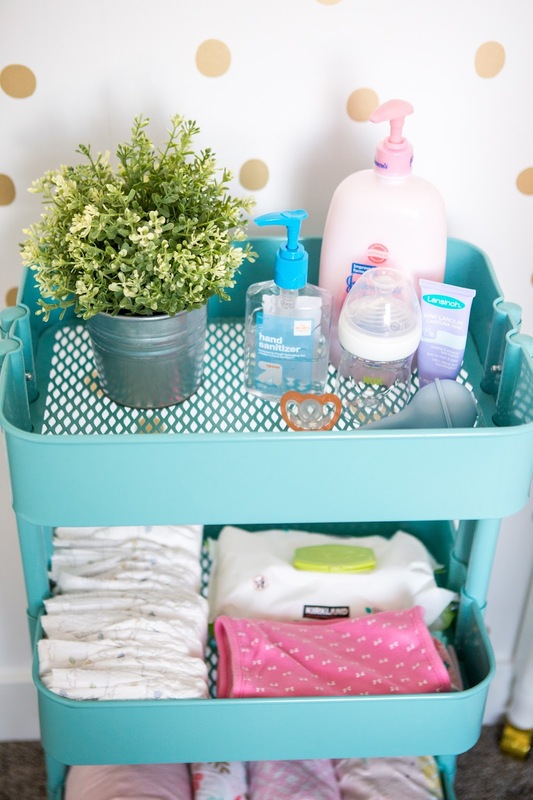 Doesn't have to be in a big rolling cart, even a little basket would be perfect! 2. 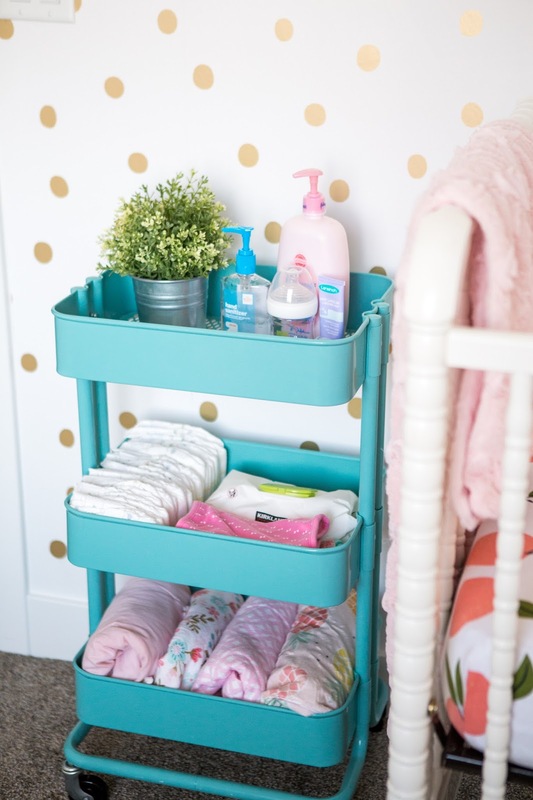 The middle shelf is loaded up with diapers, wipes, and burp cloths (Or as Ellie calls them "barf cloths" ha!). I can easily reach them all from my bed at night in the dark. So handy! The girls also know where they are, so they can be my "big helpers" and grab diapers and wipes. 3. 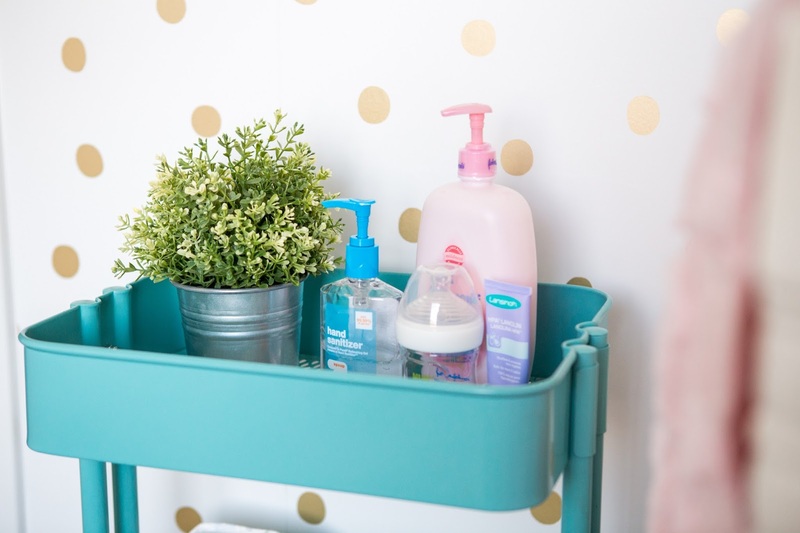 The top shelf holds all the little essentials that I use frequently during the day and at night. I typically have a big water bottle, a granola bar, lotion, hand sanitizer, and my phone. I've also started to pump and we're working on getting Miss Lucy Lou used to taking a bottle here and there when I'm not home. The top shelf works as the perfect place to perch the bottle while burping. 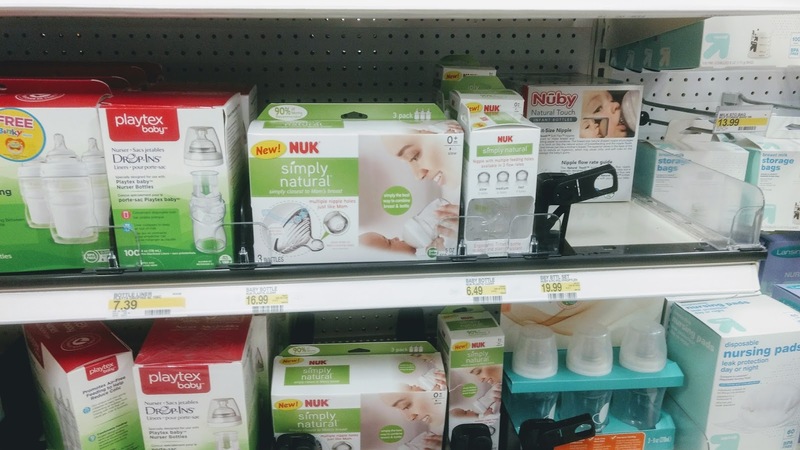 These NUK Simply Natural Bottles that I found at Target are AMAZING, I love the look and feel. 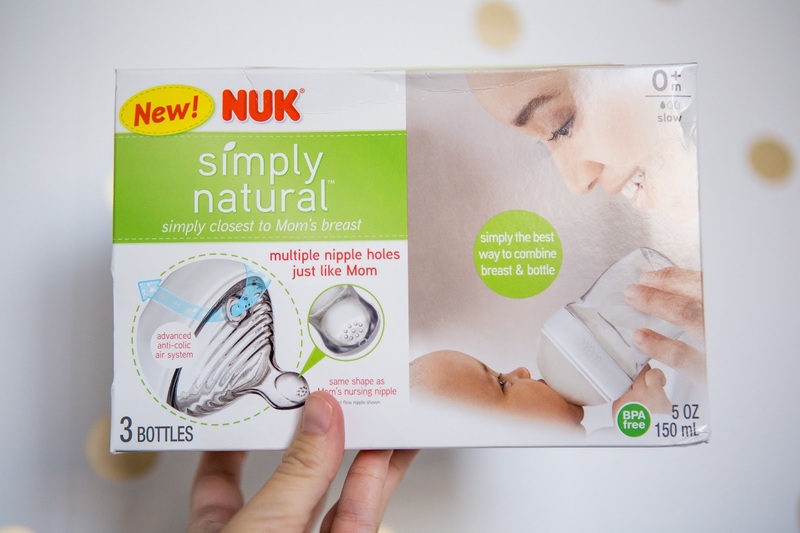 They're designed to feel just like mom, so they are perfect for breastfeeding babies transitioning or switching back and forth to a bottle. Plus, they're super easy to clean, too! These are fabulous tips! Love this!